Photographer Gerhard Batur captured NiNiX reefed down off her home port of Nieuwpoort, Belgium. The X-452 yacht NiNiX© is unique for a number of reasons. First, the famous Danish shipyard X-Yachts only constructed twenty of this model worldwide and NiNiX is the only X-452 in Belgium. The design is also unique because of the boat performance and the reputation of its atypical crew. The six member crew of NiNiX Sailing Adventure (https://www.facebook.com/ninixsailingadventure/) is led by myself, Alain Ronse, a passionate sailor who has been sailing offshore for more than 30 years aboard the various boats I've owned. It was not until I saw an abandoned X-452 that I decided to make my lifework of it. With the help of the crew, I renovated the boat completely bringing it back to its original state. Respecting both tradition and modernism, I combined the warm wood interior with latest modern navigation technology and state-of-the-art X-Drive®sails. The name NiNiX is a Flemish translation from the expression “It's a hell of a thing,” and indeed she’s a hell of a trustworthy yacht! The X-Drive sails are made by the hands of well-known sailor-racer Michel Lefebvre from UK Sailmakers Belgium. Based on his many years of sailing experience, Michel recommended the X-Drive sails to the NiNiX team to improve the boat’s performance. Michel has been a member of the UK Sailmakers group since 2005. His son, Yannick Lefebvre, represented Belgium in 49er class at Olympic Games in Rio and is qualifying for Tokyo in 2020. Michel is long-time provider of UK Sailmakers sails to NiNiX, so she’s in professional hands. 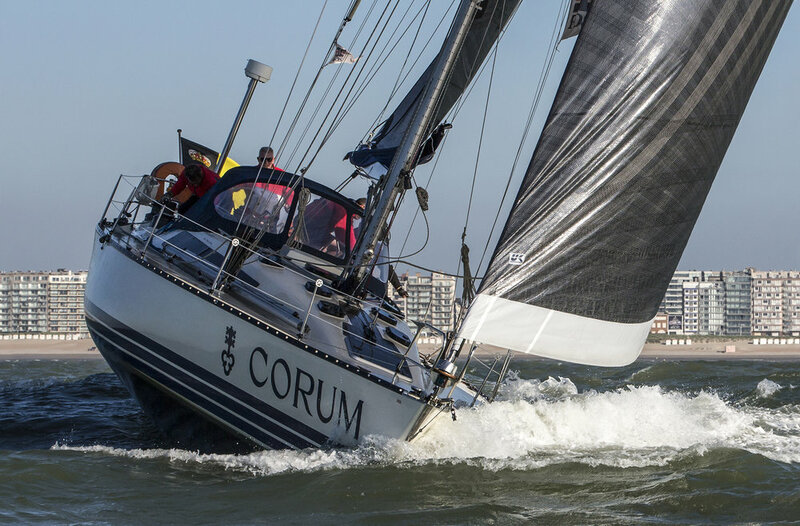 Besides the support of UK Sailmakers, NiNiX Sailing Adventure is also supported by CORUM watches matching top-performing watches with top-performing X-Drive sails. 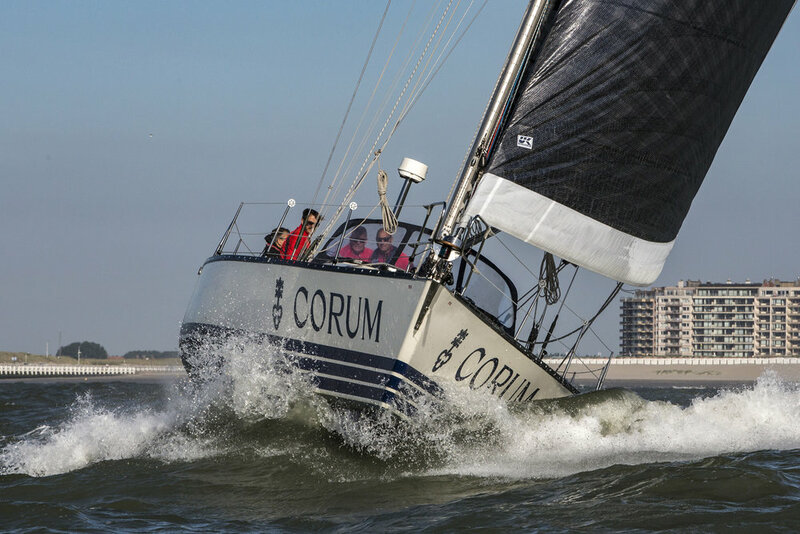 Thanks to the optimal performance of the X-Drive, NiNiX and her crew are successfully competing as an amateur team in local and international regattas. No wind is too heavy or wave too high to stop NiNiX from sailing offshore to different long-distant destinations. Even reefed, the X-Drive sails set smoothly. NiNiX Sailing Adventure is the only sailing team in their homeport of Nieuwpoort that can proudly say that for more than 20 years they have sailed every year from Nieuwpoort to St Malo or Isle of Wight and back independent of the weather conditions...and in record time. Of course, safety and reliability always come first so the boat is rigorously maintained by the crew to keep her in optimal shape. In every port on The English Channel, and recently also on the Mediterranean (thanks to the sister-ships MiNiNiNiX and MiCrONiNiX), the NiNiX crew is known for their good sailing, spirit and fun. We are well-received sailors all year round. Thanks to X-Drive and the crew's comradeship, NINIX Sailing Adventure will maintain its reputation for decades to come. NINIX with her X-Drive roller/furling genoa partially reefed.